1. 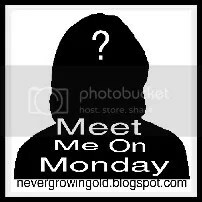 Tomorrow (Monday) I’m going to__________? Work! I watch this adorable little crumb cruncher each weekday, and I watch her 7yo cousin before and after school. In addition I work for myself as an independent sales rep for Avon so I have that business to run on the side as well. I’m always looking for go-getters that want to earn extra money or a serious living working on my Avon team, doesn’t matter where you live, I want you if you want to work for yourself! OH pudding for certain. Jello is diet food or hospital food to me. The book is called “The Business Of The 21st Century” by Robert Kiyosaky, in an effort to really grow my Avon business I read a lot of such books. Good grief, NO idea. It was when I was in high school and it was at King’s Island but for the life of me I cannot remember who it was. COLD! 21 degrees and while it will be sunny today there is frost on everything 😦 I don’t care for winter, give me 90 and humid any day. Sweet! I will stop over, I love hops!